Rolling mountains, fresh air, rambling rivers, and the sweetest berries – Ancram brings you to the heart of a wholesome lifestyle and country living. The Town of Ancram is located in the southeastern section of Columbia County. Picturesque rural farmland and a quaint village center, located only 2 hours from New York City, make this Hudson Valley town a popular weekend getaway destination or desirable region to become deeply rooted within its close-knit community. Ancram is home to the small hamlet of Ancramdale and both communities share schools and other municipalities. Being a small town, the city of Hudson, NY which is located approximately 20 miles to the northwest, is a popular shopping destination for those who reside in the Ancram area. Thompson-Finch Farm is a family-run fruit farm that specializes in growing certified organic strawberries, blueberries and apples. 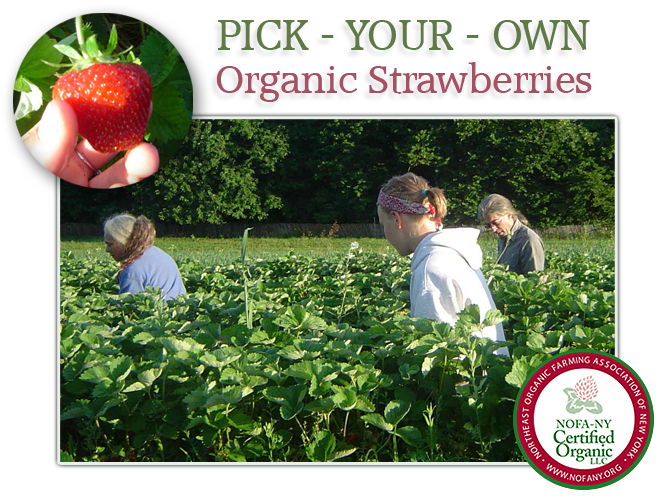 The farm is known region-wide for high-quality fruit and our season-long “Pick-Your-Own” operation. The Farmer’s Wife is a local favorite – casual cafe style seating paired with several specialty homemade meals makes it culinary centerpiece of the hamlet of Ancramdale. A morning meeting place among friends or great option for catering your next event, The Farmer’s Wife has rightfully earned a prominent place in the Ancram-Ancramdale community. Family owned and operated, Ronnybrook Farm has a reputation of high quality products that fill grocery store shelves throughout the region and Ancramdale is proud to be home to this fabulous operation. A forward thinking, solar powered farm that welcomes visitors and the entire community, Ronnybrook is Columbia County’s #1 pick for ice cream, m ilkshakes, butter and cheese. This farm epitomizes a wholesome lifestyle through its successful family business and stringent attention to quality, “beyond organic” practices and products. Mille rhurst Farm is the town go-to for fresh, locally-grown produce in Ancramdale. A well-established Bicentennial Farm with family roots dating back over 200 years, the Millerhurst Farmhas a market that is filled with annuals, perennials, herbs, flowers, produce and the exciting “U-Pick” option for those who wish to share in the rewarding simplicity of farm life. Under mountain Golf Course offers a meticulously maintained executive yardage nine-hole course with alternative tees for the option of a back nine. The small and narrow fairways provide a challenging layout for the accomplished golfer, yet are non-threatening to the novice. A well-equipped pro shop and nine-hole course surrounded by views of the Catskill Mountains, Taconic Range and Berkshire Mountains culminate in a relaxing golfing experience in the heart of the Hudson Valley. Lake Taghkanic State Park offers year-round recreation, including swimming, hiking, camping, fishing, and boating in Columbia County’s lush rolling hills. This park is open to the public and has great picnic and swimming areas that surround the picturesque lake. The Horse Institute is a retreat facility for professionals that provides executive coaching, team development and leadership skills. Participants who attend a seminar at The Horse Institute return to the office energized, motivated, and inspired by their work with the horses because they have insights about their own and others’ behavior that make a real difference in how they perceive, evaluate, and choose to respond to each other.